Butler County Challenger Baseball is hosting its first annual “Walk, Run, and Roll Event” on Saturday, October 1st. This event, taking place at Fairfield Waterworks Park (5133 Groh Lane, Fairfield OH), is an opportunity for people of all abilities to walk, run, or roll a wheelchair through a 1.5 mile course. The Walk, Run, and Roll is our newest fundraiser to support the work that our league does for children and young adults in our community. Butler County Challenger Baseball is a league designed to meet the needs of children and young adults from 5 to 22 years of age with special needs. Challenger Baseball Leagues are affiliated with Little League Baseball. Our league currently has 175 players divided among 10 teams. The teams are then categorized as either the “Majors” or “Minors” which then determines the level of skill, age, and competitiveness. Games are played during a “summer” and a “fall” season. 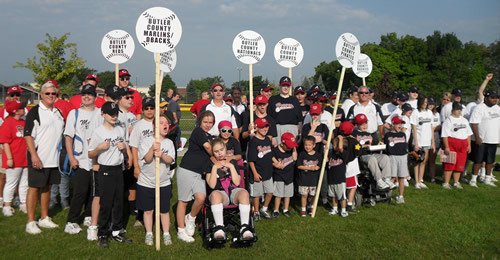 The purpose of Challenger baseball is to allow children and young adults with special needs experience the same benefits of baseball as “typical” children. And, to have the opportunity to feel the joy of teamwork and success that can be rare in the life of a special needs individual. Each player is encouraged to participate in as much of the game as they can, but they can also be teamed up with a “buddy” who helps them bat, run, field the ball and experience the game. Buddies are asked to let the player do all they can themselves but to be nearby to help when needed. Money raised from the Walk, Run, and Roll will help pay for player’s uniforms, field maintenance, and other league expenses. Donations are tax-deductible. 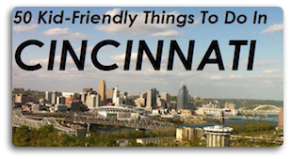 The event will feature a special appearance by Twister of the Cincinnati Cyclones and a mascot from the Cincinnati Reds. A limited number of event t-shirts will be available for $10, the day of the event. There is still plenty of time to sign up to participate in the Walk, Run, and Roll. Mail-in registrations and $10 early registration participation payments will be accepted until September 24, 2011. After this date please bring your registrations and $15 registration payments to the event. The registration form is available online and can be mailed to Butler County Challenger Baseball, PO Box 18748, Fairfield, OH 45018. Butler County Challenger Baseball always appreciates volunteers interested in participating in the league’s success. From coaching to fundraising, help is always appreciated. If want to learn more about Butler County Challenger Baseball, like us on Facebook or visit our organization web site. Can’t wait for this event, will be such a great time!